It’s a little hard to believe that this is Jo Jung-seok’s (Two Cops) first sageuk drama ever, but I’m here for it. SBS’s upcoming Mung Bean Flower has just released their first teaser, which centers on Jo Jung-seok and his involvement in the 19th century peasant rebellion that is at the heart of the show. 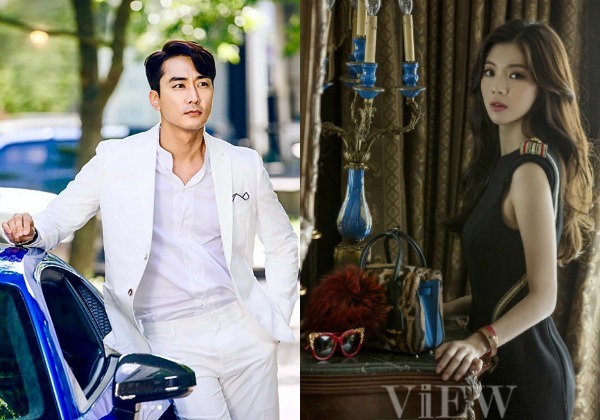 I’m a little disappointed that we don’t see the other players in the main cast, especially since it includes the likes of Yoon Shi-yoon (Your Honor), Han Ye-ri (Switch), and Choi Moo-sung (Mr. Sunshine), but I guess we’ll just have to tide ourselves over until the show releases more teasers. Though the plot description places Jo Jung-seok as a key figure of the Donghak Rebellion, despite his half-aristocratic origins, the clip shows that his character doesn’t start out on the side of the peasants. He’s shown being beaten to a pulp and strung up by his neck, surrounded by some angry looking villagers. Before the teaser ends, the captions read, “This crazy world will meet its end,” with a final shot of a grave Jo Jung-seok standing side-by-side the same peasants that attacked him. Mung Bean Flower will air in SBS’s Friday-Saturday slot, premiering on April 26. Finally there are promo materials for this drama (SBS have been releasing a longer teaser+bts with Yoon Shi-yoon and Han Ye-ri too). I've been waiting for so long for an update. The teaser already gave me goosebumps. And this drama will start airing after Haechi's finale eps, which means I'll continue to be drowning in long and serious sageuk for months to come. drowning with you and loving it! @pakalanapikake Yay for the sageuk crew! This is my most anticipated sageuk due to writer JUNG (no fantasy politics), Jo Jung-seok, Han Ye-ri and PD Shin is not too shabby either. I have seen a couple of eps of Yoon Shi-yoon in a sageuk form here and there but this will be my first full sageuk with him in it. This may be Jo Jung Seok oppa's first sageuk drama (thank you drama gods) but he is not a sageuk newbie. I love him in his sageuk films and he also played Prince Hodong and Jo Gwang-jo on stage. I'm so excited I can't stand it lol. I've seen Han Ye-ri in a few productions, the most memorable being her portrayal of the narcoleptic girl in ONE STEP MORE TO THE SEA and as the voice of Boggil in THE IMAGINARY CAT. I know she was in SIX FLYING DRAGONS and KUNDO: AGE OF THE RAMPANT, but my eyes were glued to the swordfights, TBH. Her turn in KUNDO ought to stand her in good stead in MUNG BEAN FLOWER. Yoon Si-yoon gave a deftly-nuanced performance in GRAND PRINCE. He really delivered the goods, and looked great in hanbok. I can't wait to see him and JJS portraying brothers. Han Ye-ri is one of my indie darlings. She is excellent in films and a good match for Jo Jung Seok. She is also like Honey Lee when it comes to traditional dancing, music etc. In her own words "Dancing helps me memorize action routines quickly too. In "Six Flying Dragons" the director initially thought of me as a musician, but when he found out I was a dancer he changed my role to a dancer and I appear dancing in the first scene". PD Shin most likely cast her as lead in this drama based on her performance in SFD. IRC her role in SFD was supposed to be a cameo but she was so good that they extended it till the last episode. I hope she is on the people's side with our anti-hero. @pakalanapikake, thanks for the shout out. I will be there. SBS's HAECHI will conclude with episode 48-Final on April 30, 2019. According to its wiki page MBF is scheduled for 48 episodes. Re: Jo Jung-seok. I know he is a fan favorite and I am looking forward to seeing his performance in MBF. The only drama I have seen him in was THE LEGEND OF THE BLUE SEA where he played merman Joo Jung-hoon. Re: Jo Jung-seok, he's the bee's knees. His merman cameo in LEGEND OF THE BLUE SEA was my introduction to his acting, and prompted me to marathon JEALOUSY INCARNATE in about 3 days in late July, 2017. I loved him to bits in that show (whose title can also be translated as "jealous Hwa-shin," JJS's character's name). He and Gong Hyo-jin (the killer noona who tamed Gong Yoo in BISCUIT TEACHER AND STAR CANDY) are terrific together as a TV news anchor and a weather girl. Added bonus: He dances up a storm. Immediately after that, I marathoned THE KING 2HEARTS, mainly for JJS's show-stealing performance as career soldier Eun Shi-kyung. Fondly referred to as "Earnest Bot" by Beanies for his humorless, serious, idealistic character traits, Shi-kyung is the kind of loyal friend and taskmaster who serves as unswerving support for the self-centered prince who is suddenly thrust onto the throne. JJS's eye acting is terrific. Shi-kyung is a man of few words but deep passions. When he does finally express his feelings verbally, he's actually very eloquent. But his actions have spoken all along. Alas, he is often misunderstood by just about everyone. He's one of my all-time favorite Kdrama characters. Thank you, JJS! JJS is also great in the film MY ANNOYING BROTHER. Jo Jung-Seok: I think he's good but I've only seen him in KING 2 HEARTS, with a really a heart-stopping/heart-breaking performance. Thanks so much for the MUNG BEAN FLOWER update, @tipsymocha! I've been wondering when there would be some news. I didn't realize that it will follow HAECHI, which has 5 more weeks to go. I've put HAECHI on hold to marathon later. Everything is a bit too familiar so I feel like I'm not missing out much if I watch it later. Yi Tan is not as captivating of a sageuk villain and the actor does nothing for me. I'll be back in 5 more weeks :). I decided to marathon it as well. Although this looks too depressing for me to "enjoy"... lol. Yes, I am of the historically-based but heavy on the fantasy, mbc circa 2000s sageuk variety lover. Ohhhh I've been craving this kind of sageuk and tbh, I havent finished one since SFD. Bring it on! I'm sooooo ready for more Yoon Shi-yoon. Jo Jung-seok and Han Ye-ri being here is an added bonus - I think I'll find this difficult to watch, but I need to give it a try. There weren't many other people who managed to sit all the way through Grand Prince. Right, @wishfultoki? @frabbycrabsis, This gives me an excuse to post the video below. lol. I really enjoyed and finished GRAND PRINCE which was my first Yoon Shi-yoon drama. I am a YSY fan for life. We had a ball commenting on the hijacked thread. @pakalanapikake, I'm pretty sure I left a few comments on there? Re: @pakalanapikake, I'm pretty sure I left a few comments on there? Hehe, Grand Prince beanie present! I'm still writing that fan fiction for Gi Taek backpacking through China. It's all I want in the world. I'll have to watch the teaser when I come home from work. Thank you! 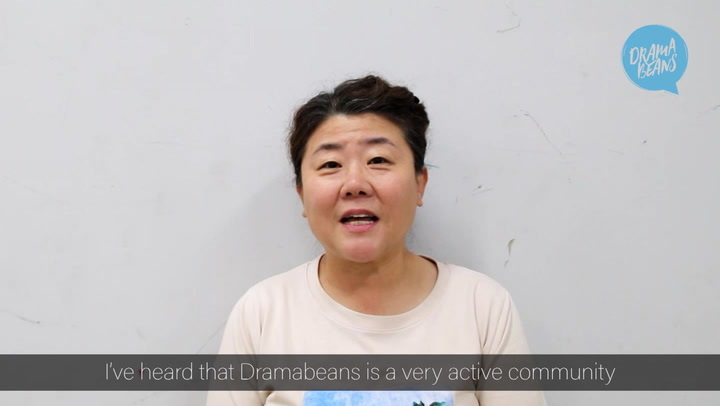 I haven't been that much of a presence on Dramabeans. Things have been so busy.